"The Unseen Light of Ireland" is the title of Corbin's latest one-person show. Taken over six trips to County Mayo, Ireland, these are infrared photographs, some from infrared film, and others from a modified DSLR that captures infrared light rays. This part of Ireland is rich with history of "The Great Hunger." 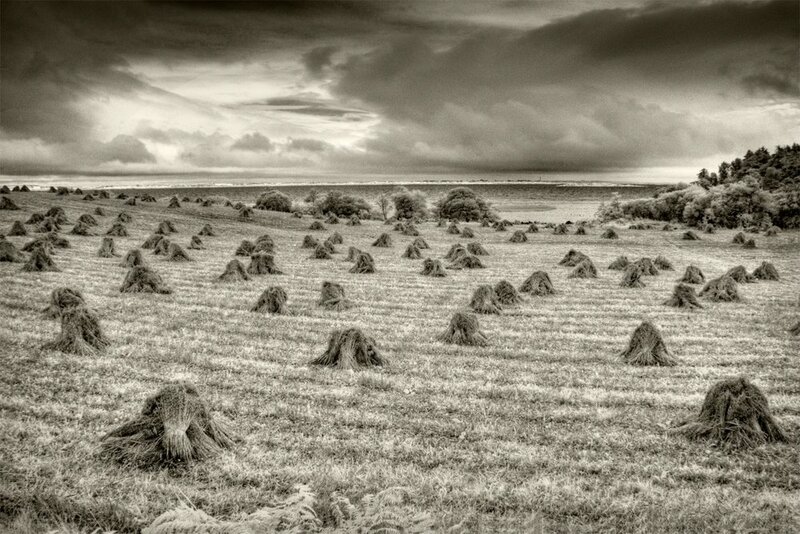 Using infrared techniques, Corbin brings out the mystical quality of this barren, yet beautiful, landscape where so many perished.